Once again, Citadel Theatre has produced a very special Holiday Show. Under the solid direction of Robert D. Estrin this show will please all ages. With a strong cast, wonderfully unique costumes, excellent music direction, and clever choreography. 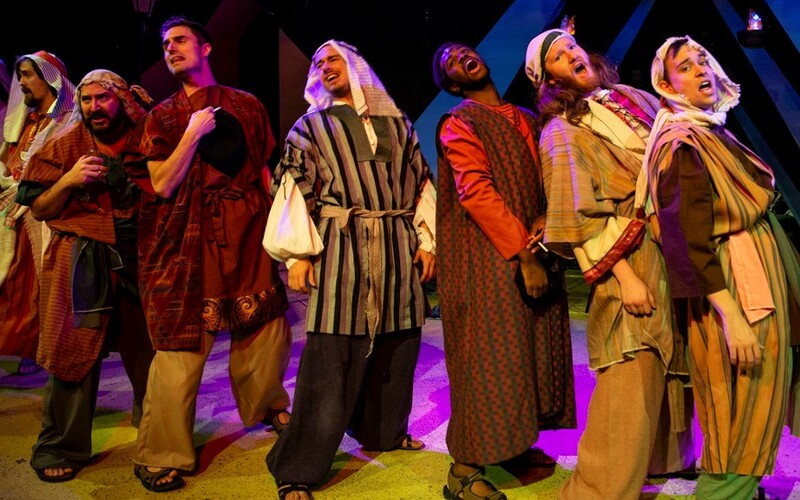 this interpretation of the Old Testament’s story of Joseph and his brothers through contemporary eyes is a fun, high-energy show featuring a delightful chorus of local children. A talented cast of actors, high-energy musical numbers, colorful and imaginative costumes, a finely tuned onstage orchestra and technical support by dozens of skilled artists are all part of Director Robert Estrin’s imaginative vision. The cast was in one word: phenomenal! The small cast was filled with one powerful voice after another. I used to be sad that I never saw Donny Osmond play Joseph, Jacob Barton was phenomenal and could be a young Donny. Citadel has assembled a cast of some the strongest and most impressive male voices I have heard in local theatre ever. The cast was stellar from the narrators to Joseph to the rest of the large number of cast members. There was nary a dull moment as the musically charged event went forward, entertaining the audience at every moment. 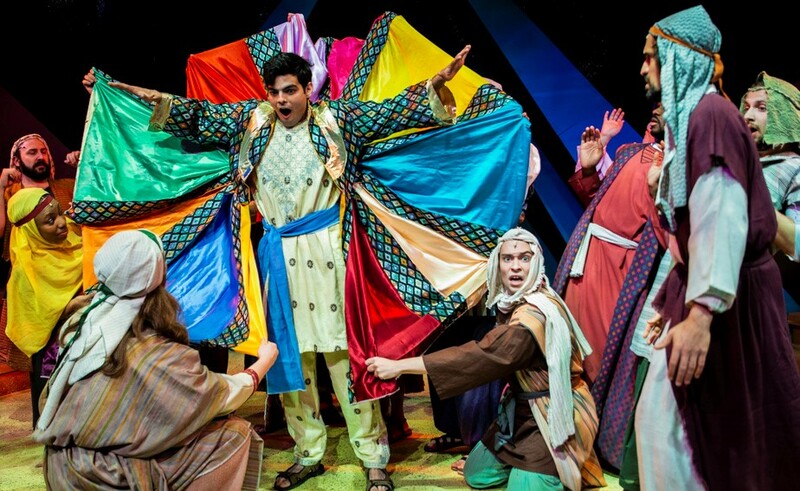 Joseph and the Amazing Technicolor Dreamcoat is an excellent choice for the holidays. Director Robert Estrin has brought us a Joseph with a top-notch cast supported by an eight-person children's choir, five-member female dance chorus, and five-piece orchestra.